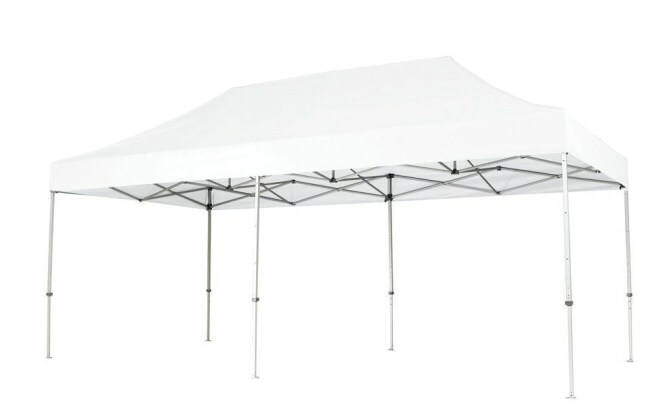 10' x 20' Portable white pop-up canopy. Side walls available at additional rental fee of $15.00 each. Client is responsible to take down in unsafe weather conditions. All damages will be charged to final invoice.